Great Holidays with Great Prices! 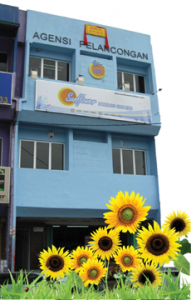 Sunflower Holidays was established on 4th Jan 2008, and register under the Tourism Board of Malaysia. As an active member of Malaysian Association of Tour and Travel Agents (MATTA) and active member of Malaysian Inbound Tourism Association (MITA), Sunflower Holidays operate successfully for two years leading by board of directors with more than 30 years experience in tourism industry. 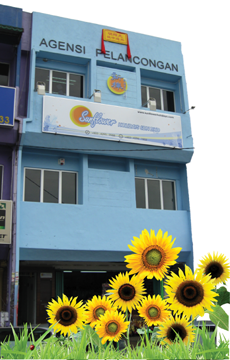 Headquarter of Sunflower Holidays at Cheras, Kuala Lumpur include six departments which is; inbound department, outbound department, domestic department, ticketing department, IT department, finance and admin department. We also have branch office at Kota Kinabalu, Sabah. Sunflower Holidays cooperates with business partner all over the globe for tourism services, which included companies from US, Sweden, Finland, Denmark, Russia, Baltic country, Taiwan, China, Thailand, Indonesia, Singapore, Vietnam, Cambodia, Laos and Hong Kong. We provide various choice of service which included; group series tour, FIT tour, worldwide hotel booking, MICE services, transportation, education tourism, eco tourism, honeymoon tour, adventure tour and medical tourism. Yearly business volume worth more than 1 million ringgit make Sunflower Holidays one of the best and fast growing travel company in Malaysia. To be the best & most effective market driven organization in the tourism industry of Malaysia & Worldwide.